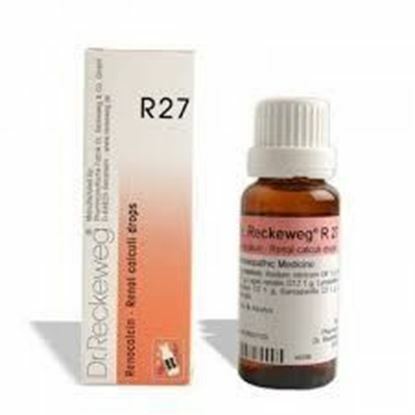 Description Properties FormDrops Weight69 (gms) Dimensions3 (cm) x 3 (cm) x 9 (cm) Indications of Dr. Reckeweg R39 Affections of the ovaries (left side), parametria and annexes. Cysts, inflammation, tumours. 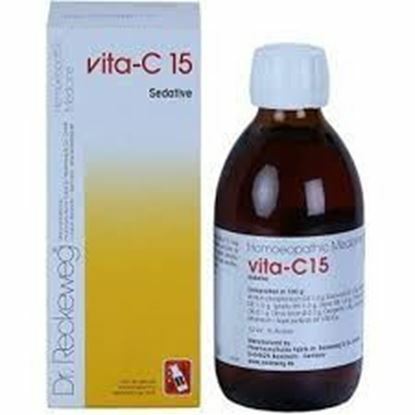 Beneficient action in case of inflammation; annexitis, salpingitis, parametritis, and cysts of the ovaries. The present remedy should be tried before deciding upon a surgical operation, also in cases of bad cicatrizing after an operation, and illdefined affections of the parametrium (left side) R39 is to be tried if the right side is the affected. Mode of Action of Main Ingredients in R39 Lachesis: Convulsive pains in the abdomen (left) with flushing. Lycopodium: Specific action in convulsive pains located around the descending colon sigmoid (S-romanum), arousing fears of cancer that are often all too well-grounded. Palladium: Acts of cysts of the ovaries and inflammation, acute and chronic. Saxifraga: Specific action in renal calculi (left side). The action of the present remedy is directed in the main against affections of the feminine abdomen (left), when the pains radiate in the upper parts and are eventually accompanied with renal calculi or intestinal pains. These general conditions of irritation are echoed as vegetative reflexes throughout the several organs and can contaminate the latter. 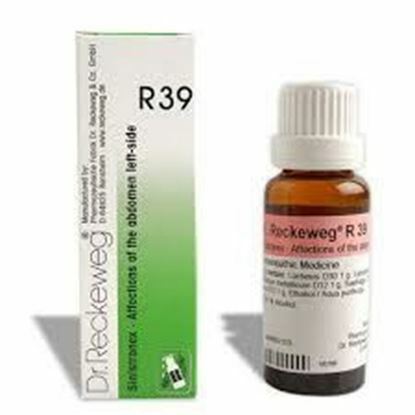 Dosage of Dr. Reckeweg R39 As prolonged cure 3 times daily 10-15 drops in some water before meals, eventually to be alternated with other, complementary, remedies listed under "Remarks". In cases of acute inflammation with fever and pains suddenly developing, the same dose every 1-2 hours (possibly in a little warm water). Simultaneous application of hot poultices, cooked potato poultices or physico-therapeutic treatments like short wave rays. Description Properties FormDrops Weight69 (gms) Dimensions3 (cm) x 3 (cm) x 9 (cm) Indications of Dr. Reckeweg R56 Worms of all types, ascarides and oxyures. Subventional remedy in specific mortification processes (i.e. of a taenia). 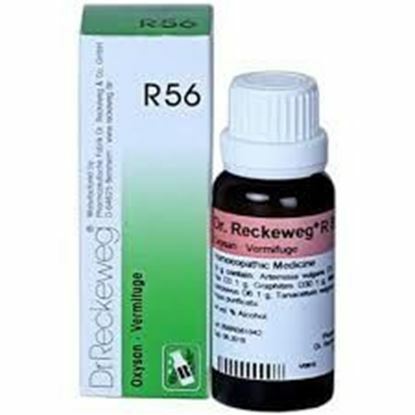 Mode of Action of Main Ingredients in Dr. Reckeweg R56 R 56 is not a fast acting vermifuge. Its indications are in particular to remove the concomitant symptoms of this parasitic complaint and to improve the constitution. In this way lasting cure from helminthes is possible and relapses are prevented. The symptomatology of the individual remedies is: Artemisia vulgaris: Spasms in children having worms. Cina: Pale children with dark shadows around the eyes. Grating teeth during sleep, easily startled, starting of the limbs, nasal itch. Active against ascarides. Filix mas: Specifically active as antihelminthic, particularly tape worms. Graphites: Constitutional remedy. Large appetite, greedy, meteorism, flatulence. Mercurius sublimate. Corrosives: Inflamed mucous membrane of the gut with tenesmus. Sticky nocturnal perspirations. Tanacetum vulgare: Helminthic infection, starting during sleep, easily startled. 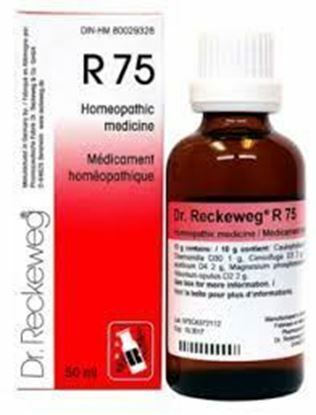 Dosage of Dr. Reckeweg R56 10-15 Drops in some water before meals 2-3 times a day. 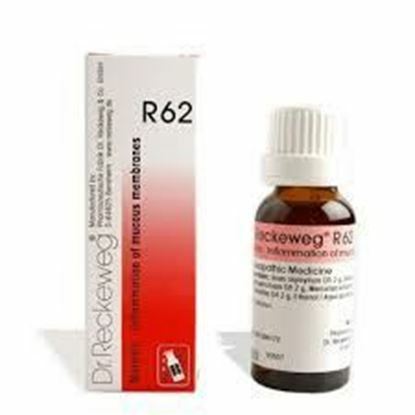 To prevent relapses R 56 should be taken 4-6 weeks after the intensive treatment in the same dosage as mentioned above.